The Batcave - Mon-El suits up! Supergirl is really stretching out the Mon-El story and ‘if’ let alone ‘when’ he actually gets a costume seems to be somewhat of a mystery. Why bring these beloved characters in to a ‘superhero’ series if the directors of the show have no intension of showing them how they were originally intended, unless that’s the whole idea. Taunting fans just enough so they keep tuning in, hoping that at some point they’ll catch a glimpse of a famous superhero actually in costume. Thinking about it, that’s probably exactly what it is! Just take a look at this current storyline in Supergirl. The writers of the show could easily have used anyone from another planet to be her boyfriend. They could have even used a surviver from Daxam, just with another name rather than Mon-El. The ordinary viewer would be none the wiser and the die hard comic fans would have just made the connection to the planet name. But no, instead they had to use Mon-El. The average viewer has no idea who Mon-El is, but to the Comics community, virtually all of us know who he becomes. Enticing the fans to hang on to that thread of hope that the show runners will at some point reveal the true character! 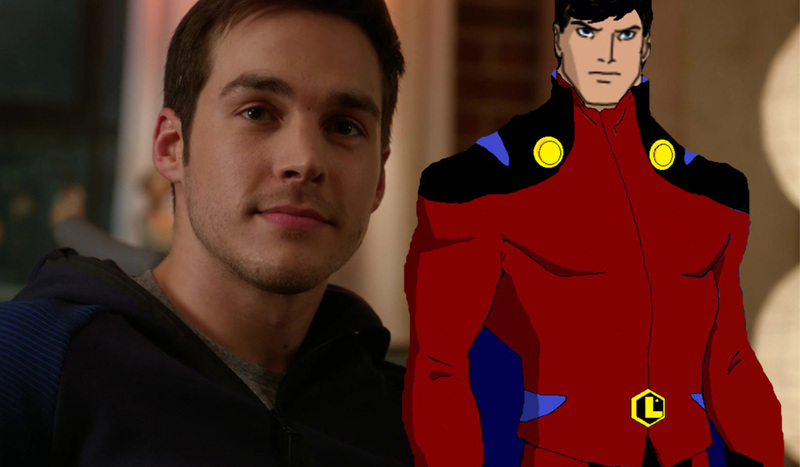 To date, the onscreen Mon-El has done a little bit of crime-fighting alongside Kara, but he doesn’t have that all important super-suit, code-name, or any of the other trappings of a superhero. He’s trained with the DEO and get’s involved in a few missions, even jokingly referring to himself as “the other Superman,” and also works at an alien bar as a bartender. An interview on TVLine has recently surfaced, chatting with showrunner Andrew Kreisberg and the question was put to him of whether Kara’s super-powered boyfriend would ever be joining her as a costumed hero on the show! As usual his reply was pretty vague but does hint that Supergirl hasn’t quite seen the last of Mon-El just yet. I’m actually not that surprised that the character hasn’t suited up before now, as I’m sure the writers want to play his character out for as long as they possibly can. I just hope that if they do decide to finally give Mon-El his true threads they pay him as much justice as they have with Martian Man-Hunter and Supergirl herself and NOT how little regard to a character the costume designers have shown towards the Guardian or for that matter the awful Superman uniform. Hopefully the plan is NOT to just kill Mon-El off at the end of the season, as it would make no sense to waste all this time establishing him as a hero to then just get rid of him. Plus, I believe he’d be sadly missed on the show. I think Chris Woods has taken on the role superbly and really made him his own. It’s also possible that the writers have simply avoided turning Mon-El into a superhero in order to keep the focus on Supergirl. However, if he sticks around for another season, it seems inevitable that he’ll need some kind of costume for his work with Kara.